The sure and steady rise of EVM in the luxury minicoach market has taken another step forward with the completion of its offices at the factory. Mark Williams goes to Ireland to find out what the company has been up to in the meantime…. One problem with aligning yourself with a prestige brand is that, by association, you will have to match its customer’s expectations. 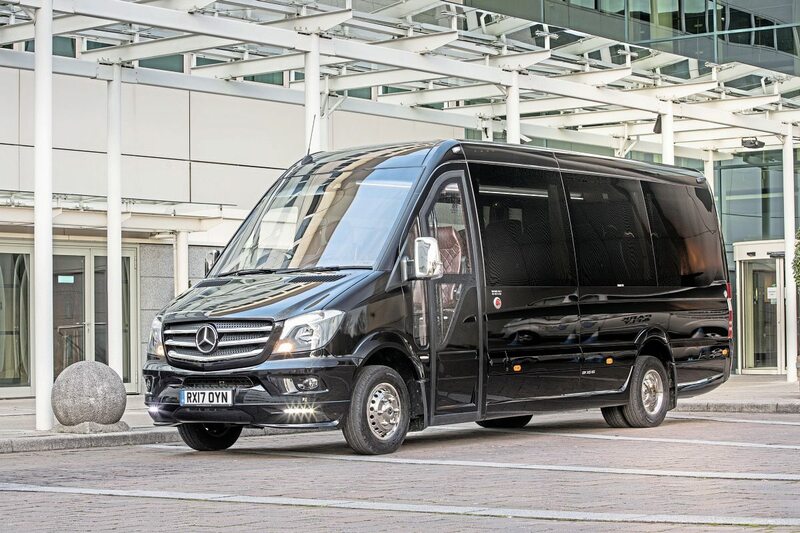 Mercedes-Benz is one such brand, and known for its understandable wariness of allowing coachbuilders and converters to take an angle grinder and welding torch to its vans and chassis. Of course, anyone can, but afterwards will have to persuade Mercedes-Benz that it’s still worthy of the three-pointed star, and more importantly, the warranty. Building just such a relationship has taken EVM some time. 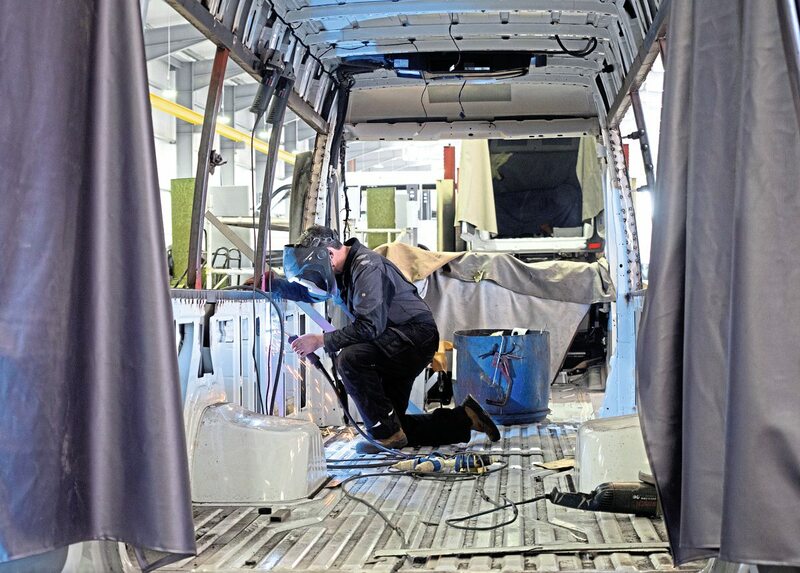 The Kilbeggan factory set up by Danny McGee in late 2009 has worked long hours to ensure Mercedes-Benz is happy with the whole suite of vehicles it makes; vehicles so radically different from the original that ‘van conversion’ comes nowhere near describing them. I last saw the factory, an hour west of Dublin, two years ago. It was already a top-class production hall, masterminded by Production Director Ivor Jones and creating the small coaches which have become associated with EVM. Every vehicle sold from EVM’s Crawley sales operation starts its journey here. Recently, there’s been change in Kilbeggan. The impressive site which contrasts quite starkly with the sleepy charms of the town was a case of arrested development last time I was there. Perfectly logically, EVM had poured its resources into the production hall, leaving the offices which greeted me at the gate unfinished. Instead, Ivor and the team of designers, sales and administrative staff were housed in a mezzanine overlooking the production lines. Danny’s plan for 2017 was to complete work on the offices, and the outcome is very impressive indeed. There is bags of room to accommodate everyone in the three-storey building and the EVM logo high on the wall seems to put a stamp of permanence to the building. The building could, indeed, be allegory for the development of the business and its vehicles; prioritising effort on developing what’s important first. 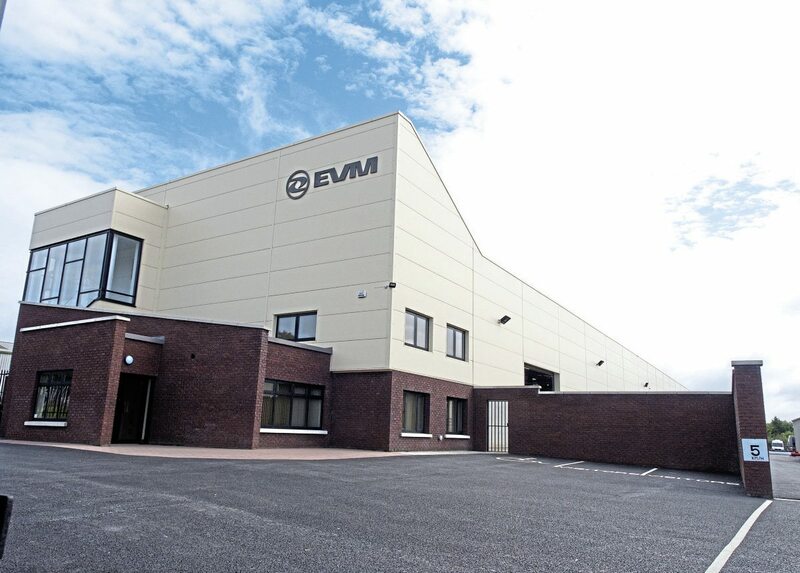 All of EVM’s effort has gone into creating a first-class production system, and using that system to continually develop and improve the quality of its output. The new offices and display area speak of EVM’s confidence in its vehicles. The production system and the vehicles are continually developed to keep pace with technology, and give customers more options, but more importantly, to maintain complete reliability. You can see this everywhere in the factory. For example, EVM’s vehicles now use PSM – an electronic control unit, supplied by Mercedes-Benz for vehicle modifiers, which handles all auxiliary electrics. 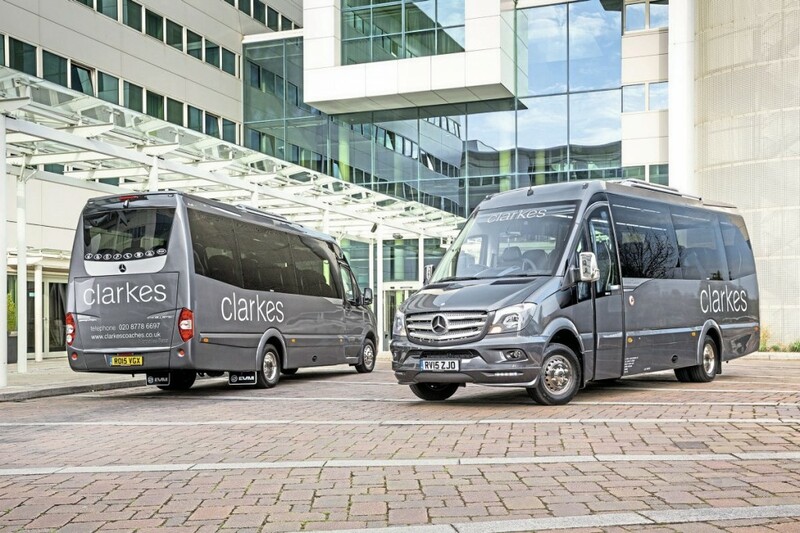 It ‘talks’ to the Sprinter’s CAN bus modules, allowing EVM to fully integrate the additional electrical systems, and with minimal additional wiring. It’s customised specifically to EVM’s model line-up. EVM has always had its own parts numbering system, but also keeps a record of the build of each vehicle. 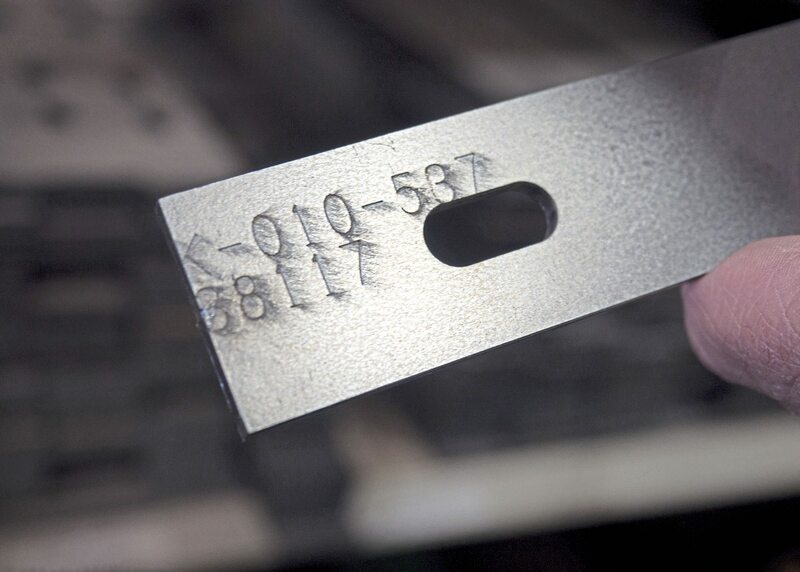 A great many are bespoke or even unique, so if a repair is necessary, quoting the chassis number ensures the correct EVM parts can be quickly identified, sourced and supplied. 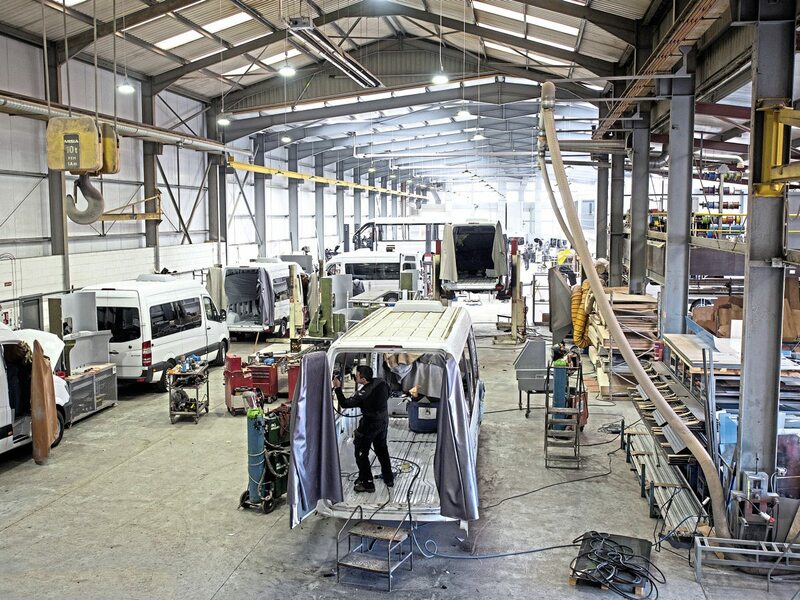 Ivor and his team – which includes the factory floor – are continually making changes to the way in which the coaches are built, in a bid to drive up quality by eliminating error. The outcome is a slick operation. A few years ago, an X-Clusive took 500 man/hours to produce. The team has brought this down to 300 hours, outsourcing parts if this will improve quality or improve factory throughput, but keeping an improving in-house production where, perhaps, quality control is critical. 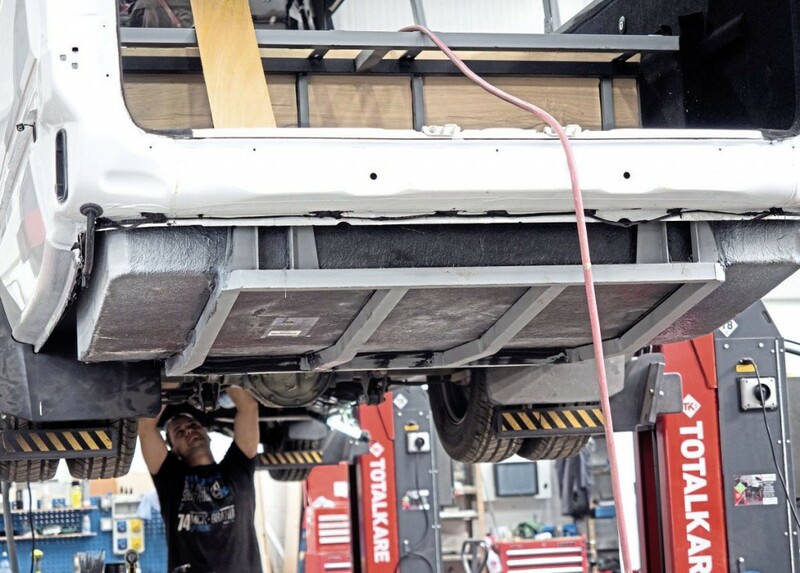 A case in point are the rear partition units and boot cradles; “They arrive as CNC-cut box section pieces which are assembled on a jig in-house for welding,” says Ivor. 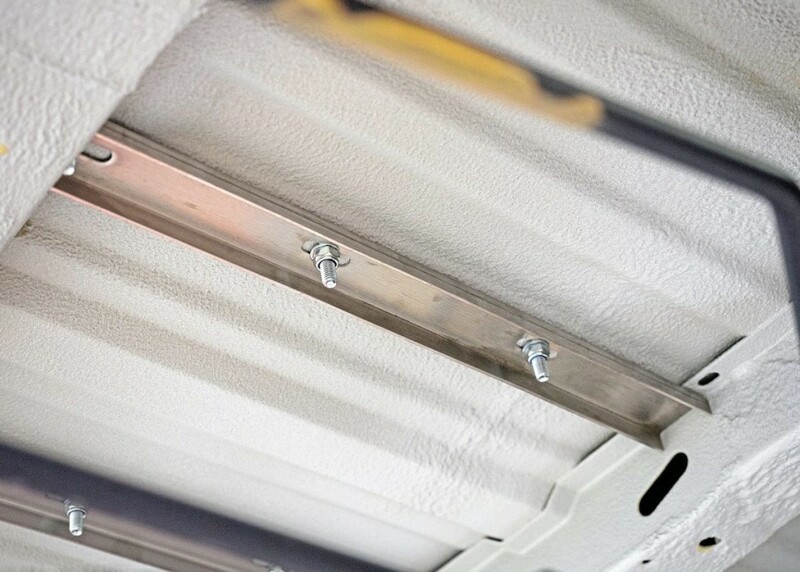 “This gives us better control and also reduces stock levels.” Assembly of luggage racks is handled in a similar way, for the same reasons. Ivor showed me seat tracking for a new, low-weight Sprinter model made from bespoke, aircraft-grade aluminium extrusions designed by EVM. 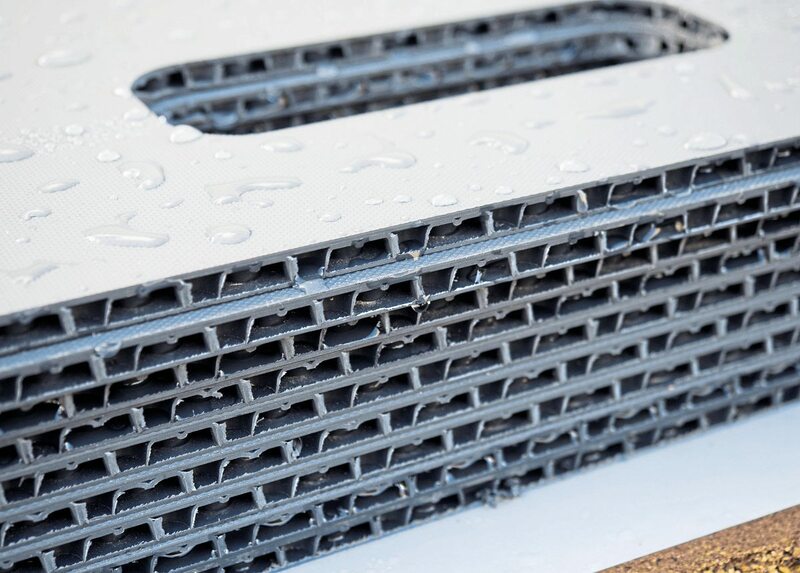 Proprietary extrusions are created for timber-floored vehicles, but on this particular model, to save weight, EVM instead uses cellular polypropylene floors, supplied pre-cut, which demanded a new tracking. Instead of being secured to a timber floor, this tracking is bolted through the floorpan into stainless steel underfloor backing plates which spread the load. It’s an understatement to say this system is strong; it’s been tested by securing a two-tonne block to it and dropping the vehicle on its roof. 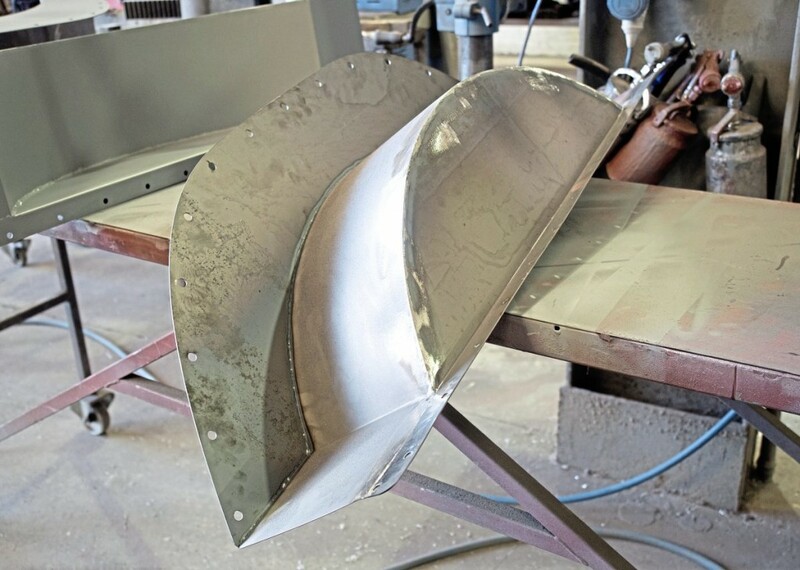 The sidewall tracking is similarly designed as a single extrusion, using 3D data from Mercedes-Benz so that it is bolted to existing holes in the base vehicle rather than creating new ones and potentially weakening the structure. At last year’s Euro Bus Expo show, EVM featured Metro LF – a very nice reincarnation of the ultra-light composite body concept originally touted by defunct Plastisol. There is no doubting the potential of the idea, but EVM has been slow to get traction, perhaps because of cost but maybe because it’s an idea ahead of its time. Currently, the prototype is on trial with councils throughout the UK. 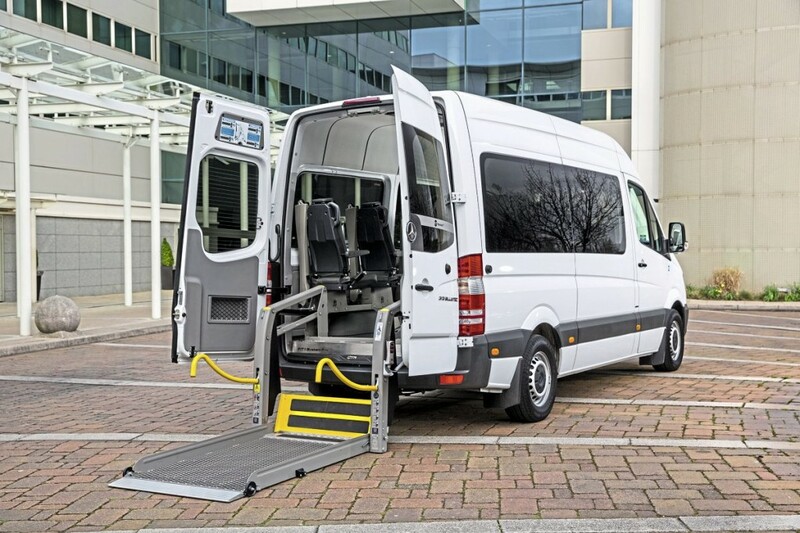 EVM has done rather better with its Low Floor Sprinter – the centre section radically re-engineered to accommodate a wheelchair via a ramp. 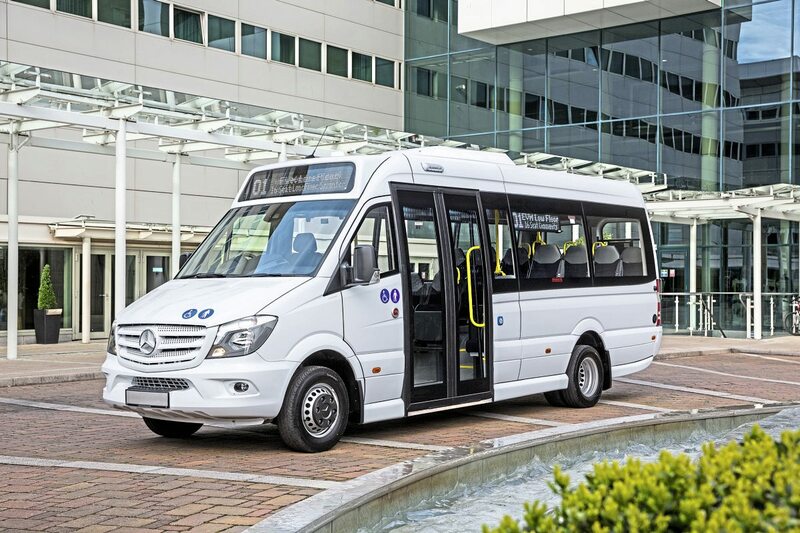 It’s a configuration which has had appeal for many sectors, including stage carriage and community transport, not to mention airports looking for effective shuttles which not only acknowledge disability, but provide a large standing area for short trips. 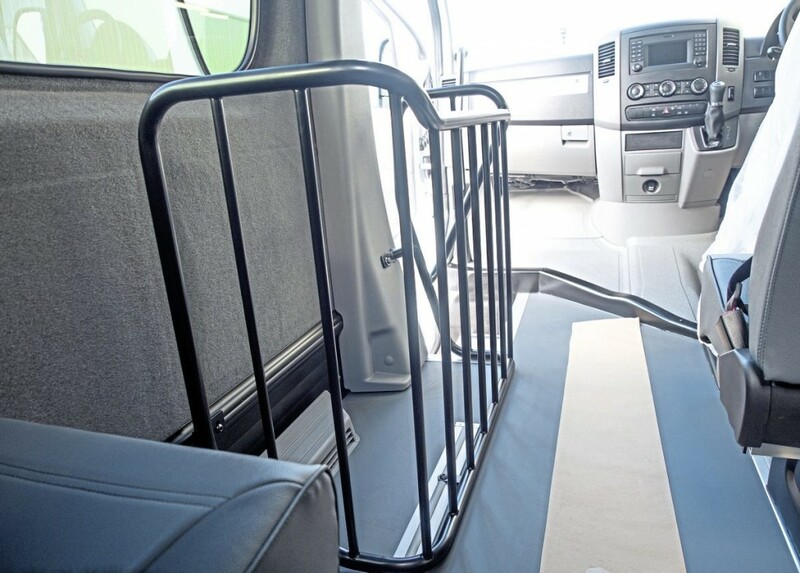 Likewise the company’s M1 accessible minibus, which has an internal wheelchair lift and truly ground-breaking tech in the floor – concealed wheelchair restraints for as many as four wheelchairs. It has eight cantilever seats fixed to the side which can be folded out of the way, offering great flexibility. It’s under 3.5t so drivable on a car licence. Production levels are still climbing, last year’s 200 units likely to become 300 in 2017 and Ivor calculating that, with the existing production hall, 400 possible. More land at the rear of the single-span building is earmarked for expansion, too, Danny nursing an idea of taking the dusty work of body finishing away from the interior fit. 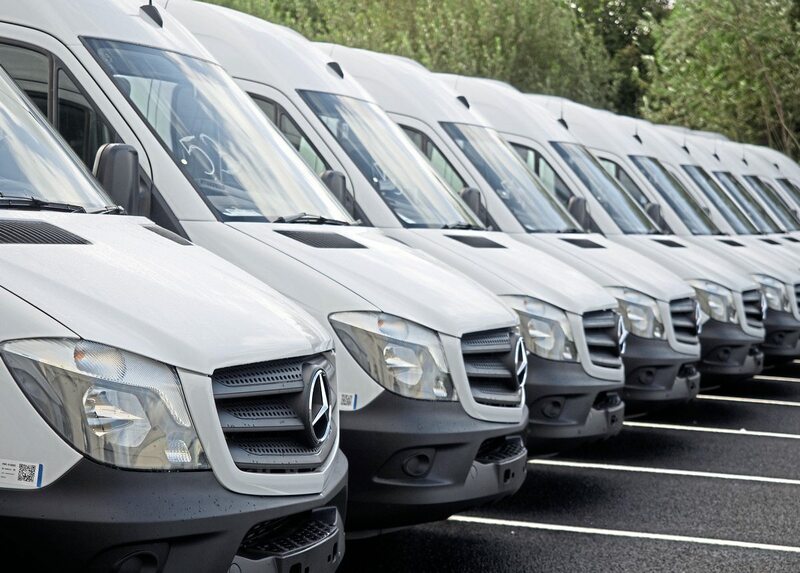 EVM ships a small number of vehicles to Australia and has recently started a business relationship with the third-largest transport provider in Hong Kong, which is interested in the lowfloor Sprinter product, built on HK-specification base vehicles shipped direct from Mercedes-Benz to EVM. EVM is very aware of the potential for competition from low-cost labour markets but, as Peter Flynn explains, was sending out a message with its EVM Direct branding: “Suppliers in the UK taking advantage of low labour rates overseas at the same time take on additional costs such as additional shipping; it’s a ‘middleman’ market, with their suppliers taking a cut of the profit. That promise is backed up by international standards. All EVM production on 5-series Sprinter is under European Whole Vehicle Type Approval and it employs a compliance manager to ensure all homologation is up to date, both for UK and Ireland and for other markets to which EVM exports vehicles. None of this would be possible without the latest software. EVM has M1 – an Enterprise Resource Planning system which automates everything from financials through inventory to sales and production planning. The software enables EVM to forecast parts requirements three months ahead. In the design studio, it uses Solidworks among other CAD applications. 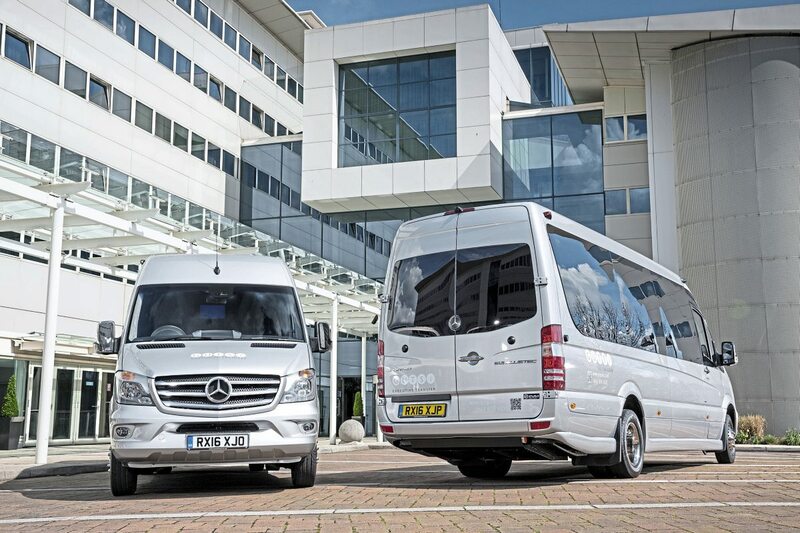 Of course, design is increasingly done digitally, and will enable EVM to be ready for late 2018, when Mercedes-Benz promises the new, model Sprinter reaches the marketplace: “When it lands, the EVM product range will be evolved again,” says Danny. 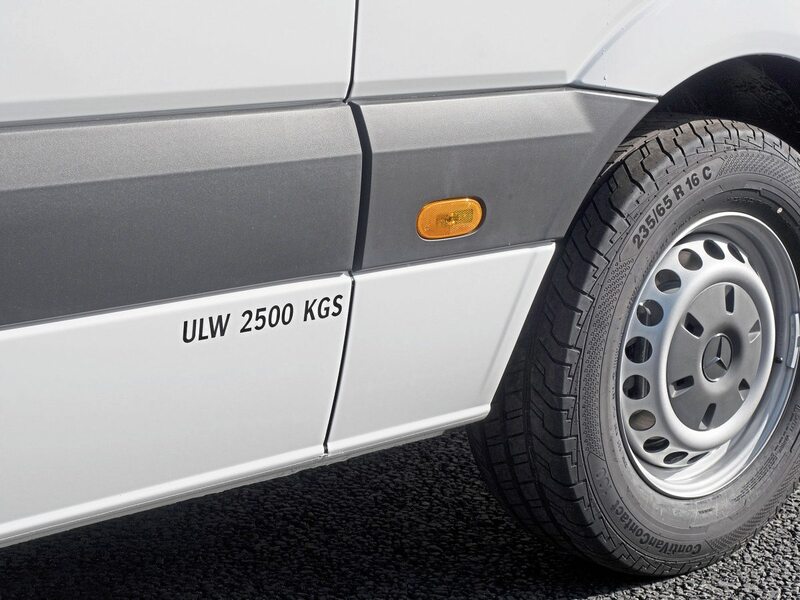 “The 5 series has been with us 12 years now, and we hope the new Sprinter will last as long. We’re expecting to see the CAD data for the new vehicle long before production so we’ll have engineered our new vehicles ahead of delivery. We cannot wait,” he says. EVM is hopeful it will see a heavyweight chassis, too, as it has plans which may see it move to fully coachbuilt product, in collaboration with another body builder. Without doubt, EVM will evolve one more step, with the quiet deliberation which has typified it so far. EVM’s factory, unusually, employs a piecework production system, each build team on the production line set targets to achieve. Each process is allocated time units in which the job is to be completed, the time calculated with the co-operation of the production teams. As vehicles move down the line, a worksheet travels with them, the teams of two completing and signing off each process. “Obviously, it’s in each teams’ interest to achieve or better the target, as they are paid for each process, so they help each other,” says Ivor. The result, for EVM’s workers, has been industry-leading wages and job satisfaction, many of the shop floor having been with EVM since the start. For EVM, the system delivers an extremely flat management structure. Any concerns about work being rushed and quality dropping are addressed with a robust, two-tier inspection process, and errors being traceable right back to each team, who lose pay for work subsequently discovered to be faulty. The extremely low number of quality rejections testify that the system works almost perfectly. Coachbuilt on Sprinter by Carbus in Spain for EVM, this small coach can have up to 20 seats and in 16-seat guise has huge boot and locker space. It has panoramic double glazing, a plug door, coach back with powered boot door. With from nine to 19 seat depending on specification, X-Clusive is a mini tourer, with full-depth drop boot facilitated by the back row of seats being raised. It features the EVM electric plug door. 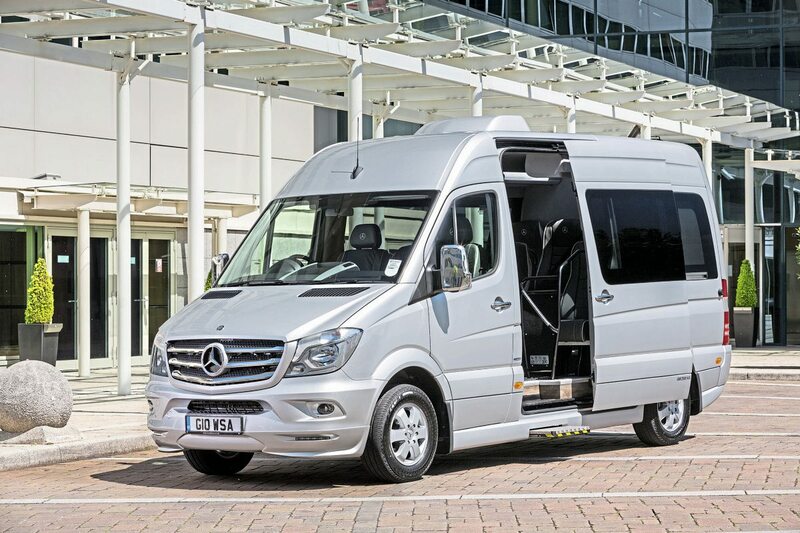 Up to 16 passenger seats plus courier and featuring EVM’s drop-boot and large, direct-glazed windows. The Avantgarde has the original hinged door but with improved entry steps. Luggage rack carries passenger service units and ducted ventilation. A real touring machine, the Elegance has up to 22 passenger seats or 16 to give more extensive boot space. If your need is for a smaller, simpler Sprinter coach most of the sophistication of larger models, Trend based on the 316Cdi and, optionally, 316Cdi retains the original hinged cab entry door and can seat up to a maximum 12 persons in school bus specification. 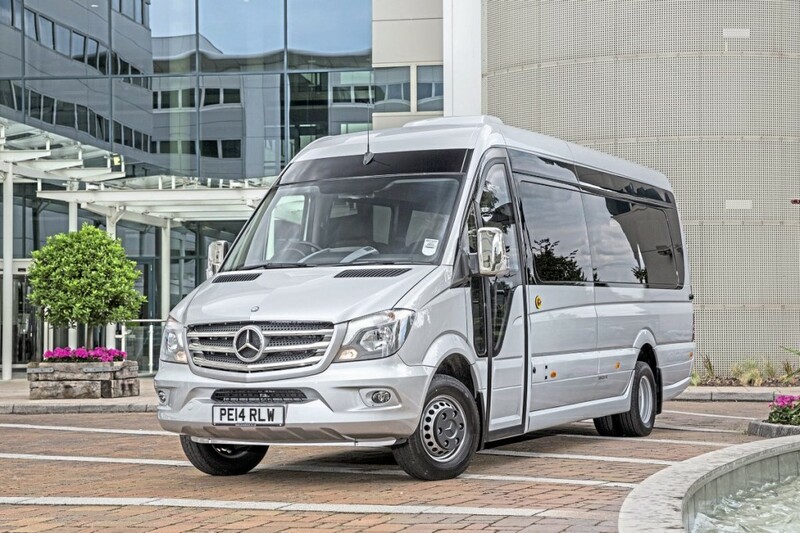 This ground-breaking vehicle sees the centre section of the Sprinter’s floor removed and replaced with a low-floor section, giving ramp access for wheelchairs and meeting stage carriage specifications with destination gear and high-vis handrails. A really innovative wheelchair-accessible vehicle with an inboard wheelchair lift, which has eight cantilever seats which fold to the side, creating space for up to four wheelchairs. Restraints are neatly hidden in the floor until required, and secured via the dashboard controls. It’s sub-3.5t so no D1 is required.